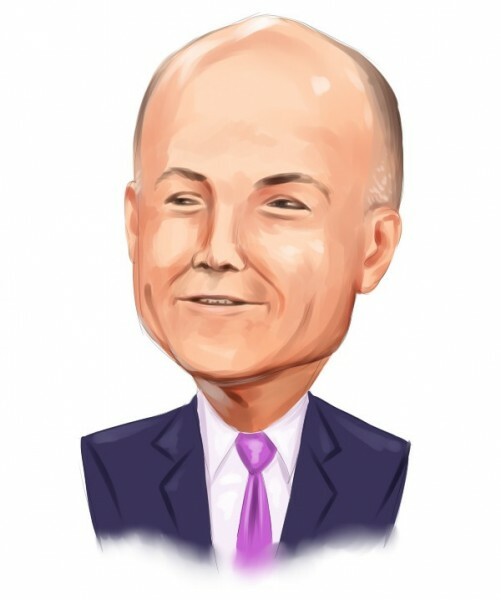 A few hours ago, Michael Novogratz of Fortress Investment Group spoke at the Delivering Alpha Conference´s panel on “Best Ideas,” along with Omega Advisors’ Leon Cooperman and Glenview Capital Management’s Larry Robbins. He started by talking about Japan, its long years of stagflation, and the Abenomics trade as an attractive investment option within this “world of secular stagnation” (Novogratz; Delivering Alpha Conference). He continued by recommending other countries to invest in: India, Brazil and Argentina. Brazil has got so bad, it’s good, he stated. Petroleo Brasileiro Petrobras SA (ADR) (NYSE:PBR) and Eletrobras will go up if Dilma Rousseff loses the presidential election this year. In Argentina, go long on stocks (especially bonds) and on the currency – there’s a 75% chance something gets done with holdouts within the next 2 weeks. In India, going long on the stock market might prove to be an easy bet. Mr. Novogratz’s largest stake is placed at Nationstar Mortgage Holdings Inc (NYSE:NSM), a $3 billion market cap non-bank residential mortgage servicer. Fortress Investment Group last disclosed ownership of 67.76 million shares of Nationstar Mortgage Holdings Inc (NYSE:NSM), worth about $2.2 billion, which account for more than 1/3 of its total equity portfolio’s value. The fund is, by far, the largest hedge fund shareholder at the company, trailed by Kyle Bass’ Hayman Advisors, which holds 4.83 million shares of Nationstar Mortgage Holdings Inc (NYSE:NSM). Second in line, accounting for 28% of the fund’s equity portfolio, is a $1.8 billion position at Springleaf Holdings Inc (NYSE:LEAF), a $3 billion market cap consumer finance company that provides loan products to customers through its nationwide branch network and through iLoan, its internet lending division. Novogratz’s 73.43 million shares make him, once again, the largest hedge fund investor at Springleaf Holdings Inc (NYSE:LEAF). The fund is followed by Paul Ruddock And Steve Heinz’s Lansdowne Partners, which owns 919,679 shares of Springleaf Holdings Inc (NYSE:LEAF), up 25% over the last reported quarter. The third largest bet is placed on Brookdale Senior Living, Inc. (NYSE:BKD), a $4.36 billion market cap operator of senior living communities. The fund’s 17.59 million shares, worth more than half a billion dollars, account for 9% of its total equity portfolio. Other funds that seem bullish about Brookdale Senior Living, Inc. (NYSE:BKD) are Jacob Gottlieb’s Visium Asset Management, which owns 5.66 million shares, up 41% over Q1, and Doug Silverman And Alexander Klabin’s Senator Investment Group, with a 5.35 million shares position started over Q1.